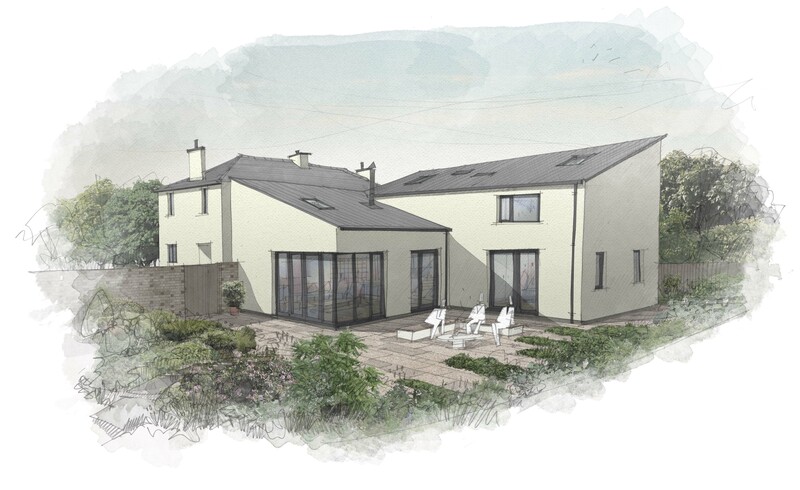 LHC recently gained planning permission for a new dwelling in Plympton, Plymouth. 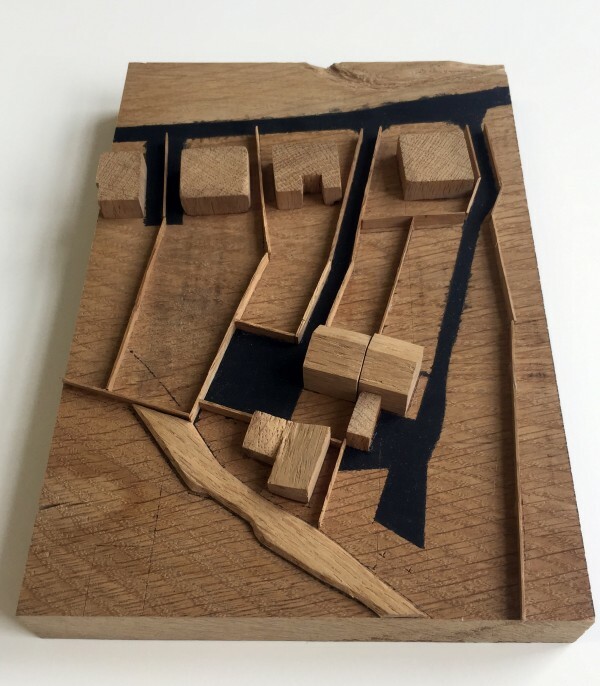 We don’t often take on one-off houses, but we do have the expertise and occasionally one comes along which excites us, gives us a chance to work at a domestic scale and to design a small gem. 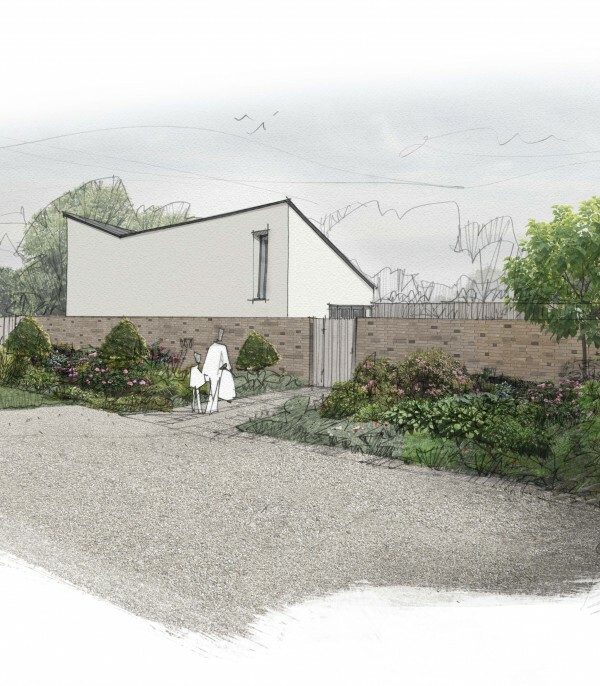 This site is within the garden of a 1920’s house and the brief was for a small, light and contemporary home which also maintained the privacy of the existing dwelling. 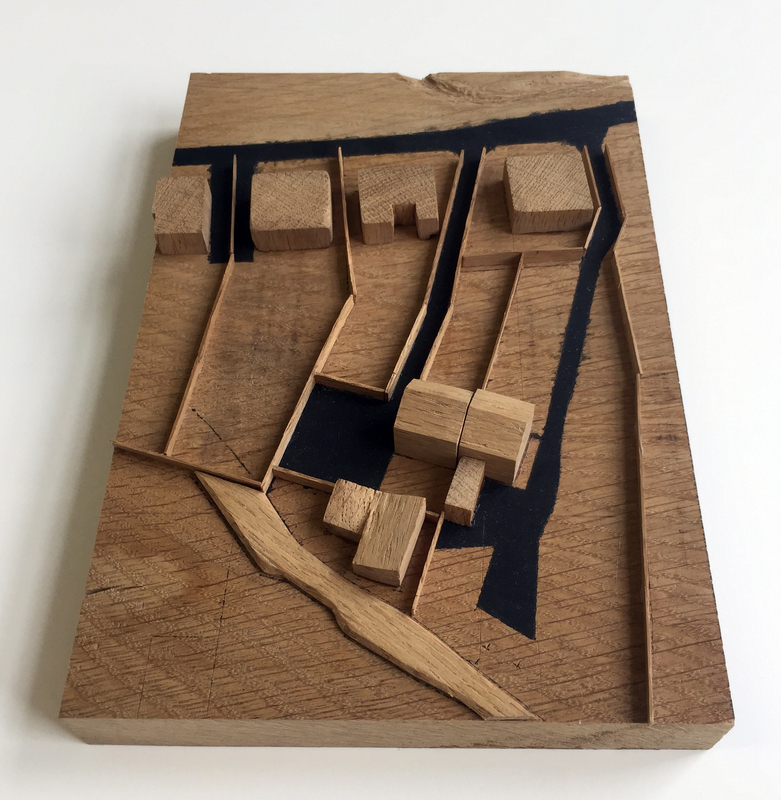 Represented by the lowest two blocks on the wooden model (above), the design concept comprises a part single, part two-storey courtyard house with large areas of glazing facing into a courtyard and more opaque walls facing out towards the existing house and neighbouring boundaries. 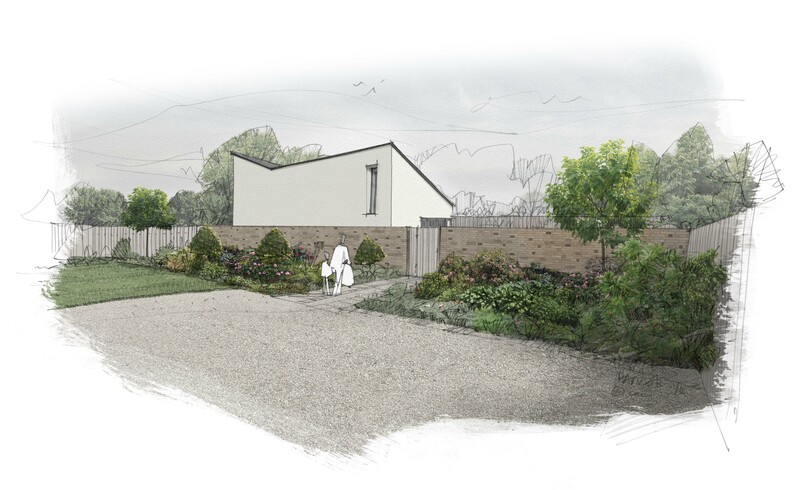 A Flemish bond brick wall will form a screen to the new courtyard garden and the ground floor storey of the new house. Above this brickwork a white rendered wall reflects light back towards the existing house. The approach to the house is via a private gravelled drive with blocks of soft landscaping and small multi stemmed trees set against the brickwork of the courtyard wall. 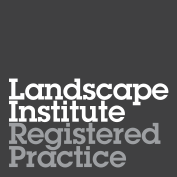 The courtyard will be landscaped with salvaged natural stone interspersed with blocks of planting. Entry to the house is through a vertical boarded oak gate in the courtyard garden wall and across the courtyard to the front door. The main living space will be a light and open plan space with high ceilings a polished concrete floor creating a sense of space, and visual links between kitchen, dining, living and courtyard. 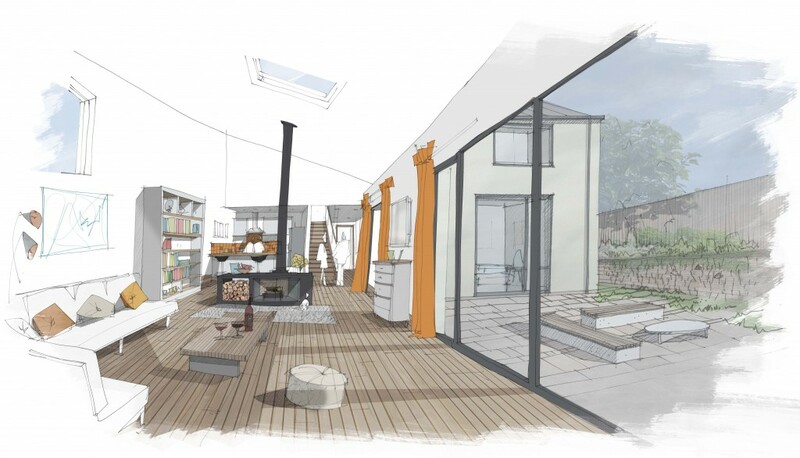 A contemporary two-sided, glazed wood burner will form the heart of the living space. On the ground floor a single bedroom/workroom opens directly onto the courtyard and at first floor two additional bedrooms are accessed via a top-lit staircase. The master bedroom includes a wide window seat with views over the courtyard.